You may be surprised at me posting a list of healing scriptures. As those that know me are aware, I am no lover of the way some in our modern society present healing or their use of it for financial gain. I do not believe in faith healing. I believe in divine healing. However, that in no way causes me not to believe in Christian healing or the heart and desire of God to heal. As I read the biblical narrative of the gospels and the book of Acts, I see healing as being integrally tied to the effectiveness of evangelism. 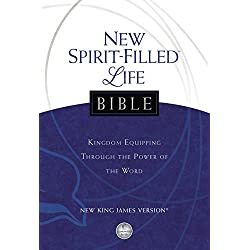 I hope as you read and meditate upon these Bible verses for healing that you will see that although a man may have perverted the intent of this gift, that the heart and desire of God has never changed. And you will be open to allowing God to use you with this gift, or if you are in need of healing, allow Him to heal you by His power. So take your time, meditate upon these Bible verses about healing, and bookmark this page so you can memorize them. I am sure you will see God do the miraculous in your life as He has done in mine. 26 and said, “If you diligently heed the voice of the LORD your God and do what is right in His sight, give ear to His commandments and keep all His statutes, I will put none of the diseases on you which I have brought on the Egyptians. For I am the LORD who heals you. 5 But He was wounded for our transgressions,He was bruised for our iniquities;The chastisement for our peace was upon Him, And by His stripes we are healed. 5 Now when Jesus had entered Capernaum, a centurion came to Him, pleading with Him, 6 saying, “Lord, my servant is lying at home paralyzed, dreadfully tormented.” 7 And Jesus said to him, “I will come and heal him.” 8 The centurion answered and said, “Lord, I am not worthy that You should come under my roof. But only speak a word, and my servant will be healed. 9 For I also am a man under authority, having soldiers under me. And I say to this one, ‘Go,’ and he goes; and to another, ‘Come,’ and he comes; and to my servant, ‘Do this,’ and he does it.” 10 When Jesus heard it, He marveled, and said to those who followed, “Assuredly, I say to you, I have not found such great faith, not even in Israel! 11 And I say to you that many will come from east and west, and sit down with Abraham, Isaac, and Jacob in the kingdom of heaven. 12 But the sons of the kingdom will be cast out into outer darkness. There will be weeping and gnashing of teeth.” 13 Then Jesus said to the centurion, “Go your way; and as you have believed, so let it be done for you.” And his servant was healed that same hour. 12 And it happened when He was in a certain city, that behold, a man who was full of leprosy saw Jesus; and he fell on his face and implored Him, saying, “Lord, if You are willing, You can make me clean.”13 Then He put out His hand and touched him, saying, “I am willing; be cleansed.” Immediately the leprosy left him. 14 And He charged him to tell no one, “But go and show yourself to the priest, and make an offering for your cleansing, as a testimony to them, just as Moses commanded.” 15 However, the report went around concerning Him all the more; and great multitudes came together to hear, and to be healed by Him of their infirmities. 16 So He Himself often withdrew into the wilderness and prayed. Many question whether or not it is the will of God to be healed. Jesus is no respecter of persons. If He was willing to heal the leper, He is ready to heal you. You will find nowhere in the Bible where a person who came to Jesus and asked to be healed, that was not cured! And you will see that healing happened not just when Jesus was walking the earth, but it happened after as well. And it wasn’t just a gift for the Apostles, because the Apostle James told you to call for the elders of your church to pray and anoint you with oil and you would be healed. Now, do I understand why, or what prevents some people from receiving the healing that is available to them? No, I am not God. But I know what God said, and I know that reading healing scriptures helps people receive their healing. Healing is supposed to follow the believer, and it is tied to the preaching the gospel to every creature. That is why it is so important that you get these verses about healing down into your spirit. 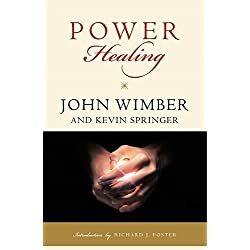 If you want to follow up how God might do that, you might be interested in our articles on understanding the gifts of healing and the gift of miracles. If you are in the process of waiting on God for healing, then I would recommend you read our inspirational Bible verses about strength to keep your spirits up. 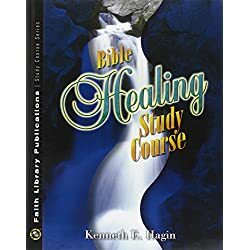 What are some of your favorite healing scriptures? Please feel free to share them or to share how God has healed you in the comment section. That way other people who come to read these Bible verses about healing will be encouraged and their faith stirred. You never know. Your healing scripture might be the one that brings healing to them!